Norman king Roger II established the Cappella Palatina in 1130. The chapel, located inside Palermo’s Palazzo dei Normanni, is in and of itself a treasure chest of extraordinary mosaics. 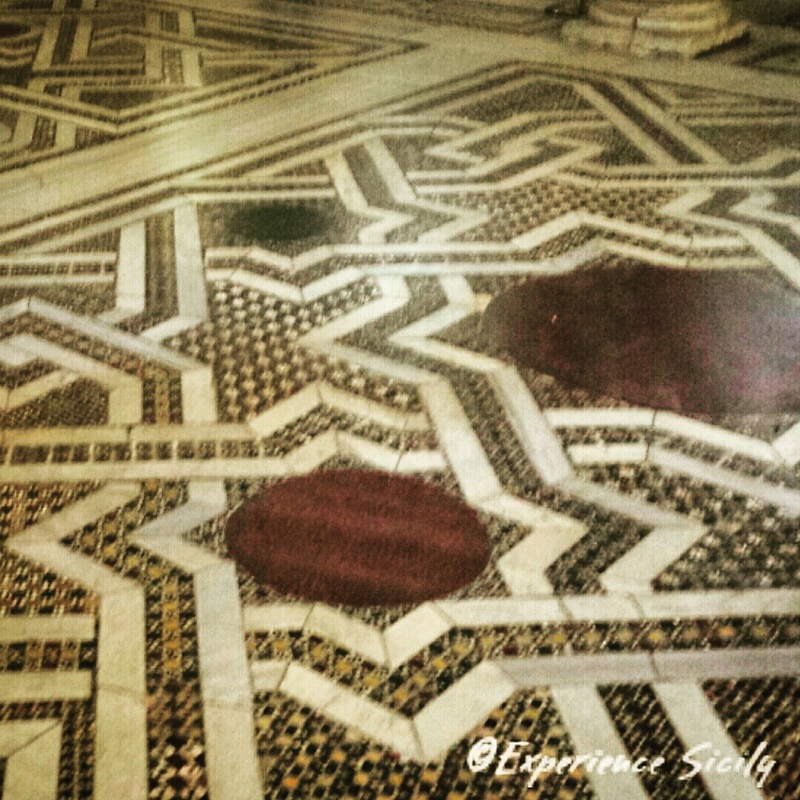 This is one example, the dizzying, inlaid stone and marble floors. What an extraordinary floor – from the 12th century (my goodness!). I just love the history that lives in these still-standing treasures.